I actually found an awesome Lionel Richie mug with that exact saying at the thrift store. Most of you know that I got a new job a few months ago, I'm still a graphic designer, but instead of making business cards and custom invites, I'm working with food! 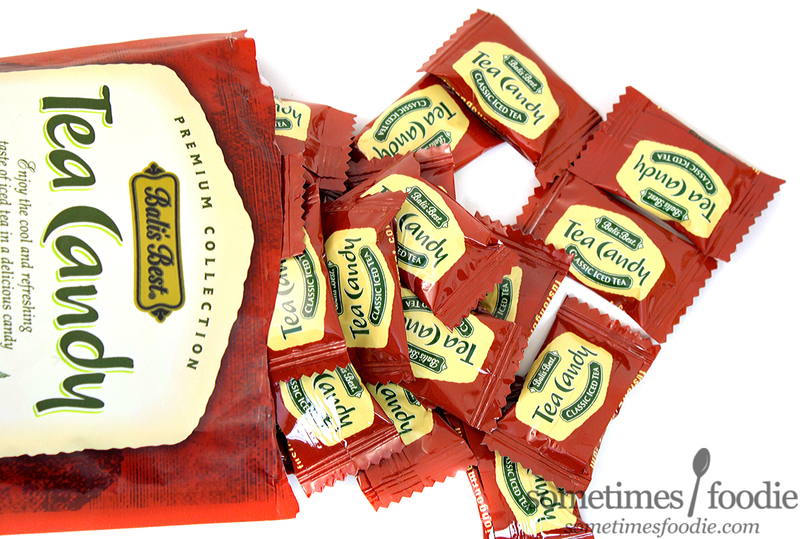 Right before the holidays I received a big gift basket filled with different specialty products, like these tea-flavored candies. They sound really refreshing, so let's get this review started! The foiled plastic bag has a gusseted bottom and at matte finish, making in fantastically easy to photograph. Visually, this item focuses on earthy tea-colors, like deep red-browns, greens, and tea-stained parchment, giving this a sophisticated color palette, but the design choices are a little clumsy. The finer print is done in a beautiful script-style font, but the logo is in this highly simplified mash-up of Papyrus and Comic Sans that just looks, wrong. 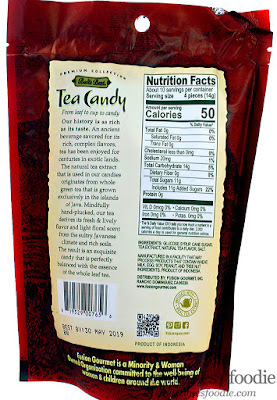 The "Tea Candy" text is my only real complaint, and that's if I'm being nit-picky, other than that, the rest of the packaging is quite nice and very presentable. Inside, we have 42 individually wrapped candies. Quite a hefty amount of candy in such a tiny bag! I'm not sure how much this costs, but it seems like it'd be a pretty good bargain, provided that it tastes good. Also worth mentioning, the individual wrappers don't have the same rustic charm as the main bag. Their glossy finish and saturated colors make them look a little cheap, and they aren't that cute inside a candy dish, but they are convenient and serve their purpose. Once opened, the candy looks like a translucent, hardened, dollop of maple syrup. Fresh out of the package it doesn't have much of a smell, but it has a very bold flavor! I popped the hard candy into my mouth, it's shallow ovate shape has really nice mouth-feel, and it tastes like actual home-brewed iced tea! Very impressive! It's sweetened with real cane sugar, but the real star of the show is the complex, slightly bitter, steeped black tea extract. It's much bolder than an actual cup of tea, and it has these bitter, tannic, notes that I really enjoy. 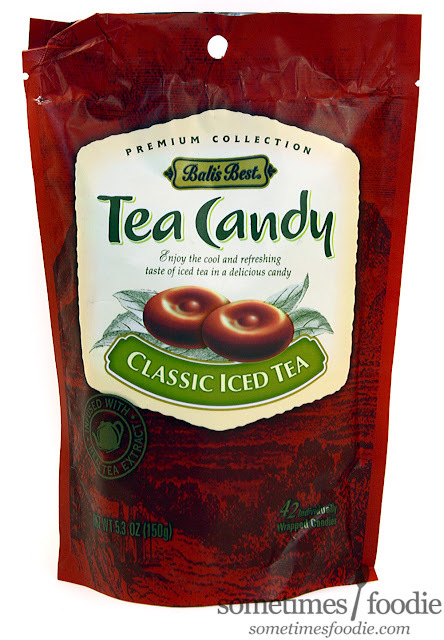 Black tea is my favorite kind of tea, so I am absolutely in love with these, even though they are significantly sweeter than I usually take my tea (both iced and hot), but as a candy, I'm absolutely in love with them! I shared these with my sister, who is a big fan of fancy teas, and she fell in love with them too! On the other hand, my boyfriend (who mainly drinks green tea, only switching to black tea when we run out) absolutely hated these. I gave him one, he made some miserable faces, and couldn't finish it. 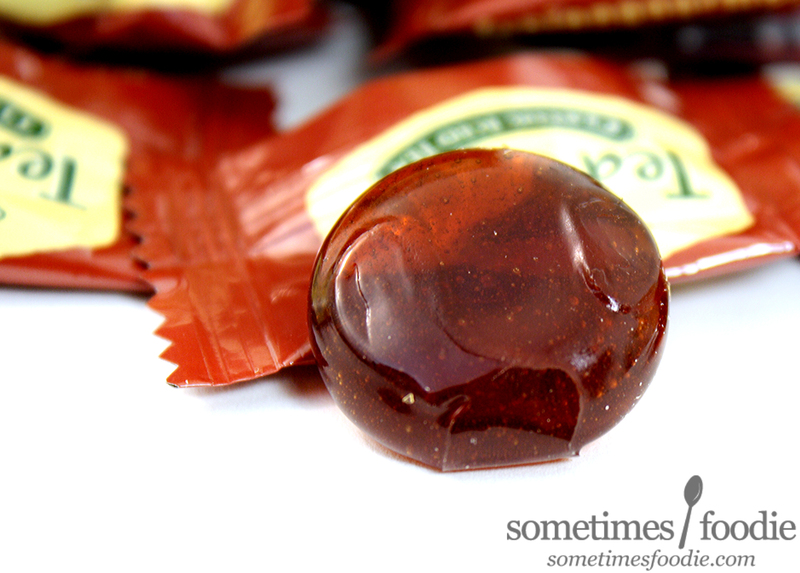 He said it was way too concentrated and it wasn't a "recognizable candy taste." "Tea is not a candy taste, just drink tea." He followed that up with, "half your candy is just weird." Which gave me a good laugh. I'm guessing you need to be a black tea fan to appreciate this particular flavor. It's been a while since I've been this excited about a product, but when it comes down to it, you really need to like black tea to appreciate this flavor. My sister and I love these, and I'd recommend them to any black-tea-drinker, but if you're not a fan of black tea, this is not the candy for you. If you love this you should try their latte drops! I love both kinds! The green tea isn’t my fav but it exists too.